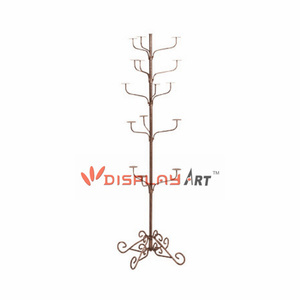 Rotation Display Racks / Sunglasses Hat Display Stand / Spinner Rack : Category Rotation Display Racks / Sunglasses Hat Display Stand / Spinner Rack Item NO. 2. 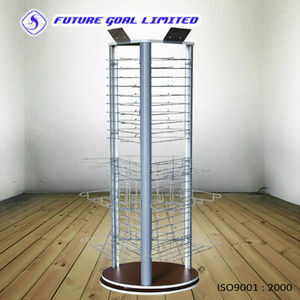 This rack can be rotated, this funtion can make you to display your products more convenience. 4. Th e product can display various of items in a limited space , makes the space uses effectively. Custom shape, size and color are Payment term: 30% deposit, the balance before shipment. ) Good service and high quality can ensure us to establish long-term trade relationship with customer. 2.What is the minimum order requirement 9 --- Depends on details,different type with different MOQ. 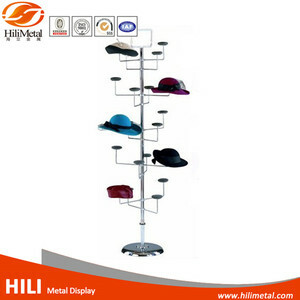 We have full experience to producing the hat display rack for the clients. If you need to custom made any hat display rack, please send us the drawing or rendering, we will make a quotation for you. We provide OEM and ODM service for the cap display rack , we have extensive experience to provide the right solutions for your retail stores, on time, on budget. 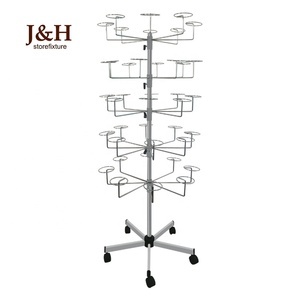 Hat Racks / Hat Display Stands / Spinner Rack : Category Hat Racks / Hat Display Stands / Spinner Rack Item NO. 3. 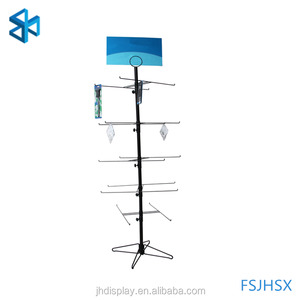 This rack can be rotated, this funtion can make you to display your products more convenience. 5. T he product can display various of items in a limited space , makes the space uses effectively. 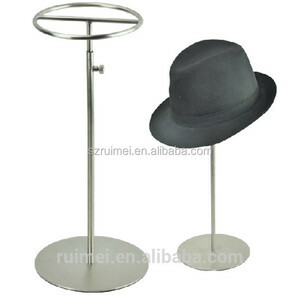 Alibaba.com offers 102 hat spinner display rack products. About 95% of these are display racks, 1% are supermarket shelves. 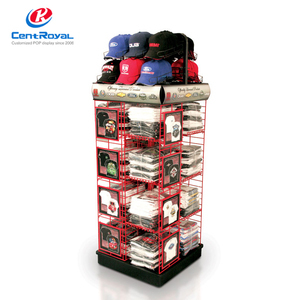 A wide variety of hat spinner display rack options are available to you, such as metal, wood, and metallic. You can also choose from free samples. 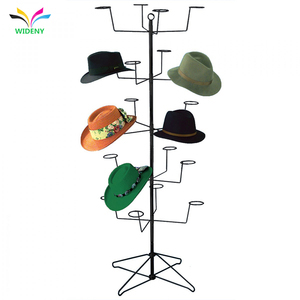 There are 102 hat spinner display rack suppliers, mainly located in Asia. 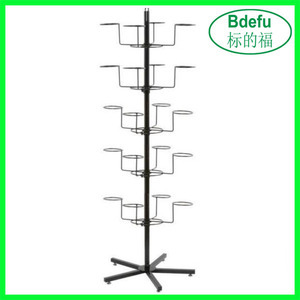 The top supplying countries are China (Mainland), Taiwan, and Hong Kong, which supply 96%, 2%, and 1% of hat spinner display rack respectively. 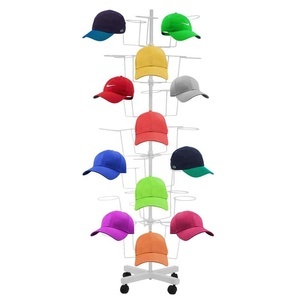 Hat spinner display rack products are most popular in North America, South America, and Central America. You can ensure product safety by selecting from certified suppliers, including 32 with Other, 8 with ISO9001 certification.